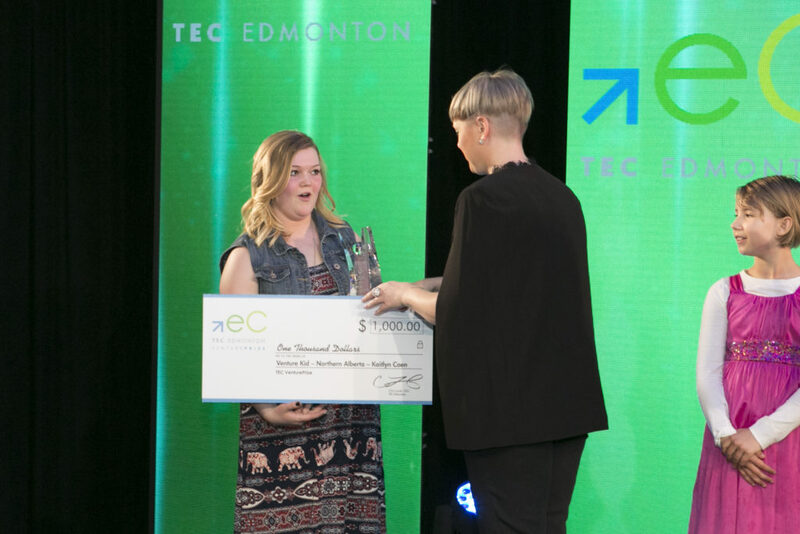 Photo above: This photo was taken by SEP Digital Photo at the 15th annual TEC Edmonton VenturePrize Awards event on May 4, 2017. On Tuesday, June 20, 2017 join us as we celebrate Servus Circle Day at Servus Corporate Centre, 151 Karl Clark Road NW – rain or shine! The event starts at 5:30 pm, with the official kick-off at 6:00 pm. This year, in addition to all of the activities and fun that we have planned, we’re calling on all of #yeg and area to come out and be part of a record breaking secret mission! Ok, forget it! We’re too excited to keep it under wraps! At this year’s Servus Circle Day event we’re attempting to break the world record for the Largest Human Currency Symbol – which will mean getting 2,000 people out and standing in the shape of a dollar sign! And we want you to be a part of the moment when Edmonton becomes a part of history! The attempt will take place at 6:00 pm, so we will need everyone to be onsite at that time. Come out to this all ages event and enjoy music, activities, giveaways, food trucks and of course be part of something that will be one for the books. The Guiness Book of World Records that is! We haven’t even gotten to the best part! Servus will donate $1.00* to KidSport for every person that comes out to the event. KidSport a national not-for-profit organization that provides financial assistance for registration fees and equipment to kids aged 18 and under. Servus supports KidSport chapters and initiatives throughout the province which ensures young people have the opportunity to participate in sport regardless of the financial positions of their families. This also ensures minor sporting organizations have sufficient participation levels and income to provide their communities with the enrichment that sport brings to children’s lives. We hope that you’ll …in addition to all of your family and friends… join us on June 20, 2017 at 5:30 pm as we celebrate community, each other, and a new world record! Don’t forget, we need 2,000 people to make this count and we can’t do it without you! Make Music Edmonton strikes a beat on 124th Street and celebrates Summer solstice by bringing live music to one of Edmonton’s favorite neighborhoods! The 4th edition of Make Music Edmonton will take place on June 21st along 124th Street, from 5 pm to 9 pm. This free event, presented by the Alliance française of Edmonton, promotes live music, both amateur and professional, of all styles and genres. The not-to-be-missed event will feature more than 10 venues hosting over 40 free outdoor performances, spanning from Jasper Ave. to 108 Ave., from 5 pm to 9 pm. Pop, folk, country, jazz, an open mic … all varieties of music performed by both amateurs and professionals will bring sound, movement, and excitement to the streets of the 124th Street area. Edmontonians are invited to come down and enjoy music with the program’s start at 5 pm. The official kick-off, hosted by Stacey Brotzel, will take place at 5:30 pm on the Main Stage located at Bernard Callebaut. For the 2017 edition, Sarah Hoffman, Minister of Health and Glenora MLA, David Shepherd, Oliver MLA, and Scott McKeen, ward 6 city councillor, will join our kick-off ceremony as our special guests. For the first time, Make Music Edmonton will also showcase aboriginal musicians and performances to celebrate National Aboriginal Day festivities. Guests will also enjoy food trucks, activities for all ages, street performances, giveaways, dancing in the streets, and more! For more information please visit the event website at www.makemusic-edmonton.ca. You can also sign up to the event page on Facebook to be alerted of all event updates. Follow all event announcements on Twitter at or on Facebook. If you’re interested in volunteering at the event, you can sign up here! Lauren Dary, owner of L Photography, hosts a unique event on brand photography and brand awareness. An expert panel of guest speakers and interactive stations will have you discussing how an engaging and thoughtful brand strategy can connect you to your target audience. Register (http://bit.ly/2rkb6TG) before June 9th to secure your spot and an entry into our grand prize draw for a brand photography session with L Photography (valued at $650)! We’ll have several interactive activities, door prizes, and many more giveaways! This evening promises to be inspiring, educational, and all around, a great evening out among some of Edmonton’s industry leaders. Follow L Photography to stay in the know on all event announcements! And just in case you missed the photos from TEC Edmonton’s 15th Annual VenturePrize event earlier this month, they’re on the website at TEC Edmonton’s 15th Annual VenturePrize Awards. In case you missed the BIG reveal, last week we were excited to launch “Tycoon Events Presents #YEG & Area Venue Featurettes”, featuring hidden or well-known gems in the City, and highlighting local businesses. The program, which offers a choice between two packages, has been created to showcase and raise the profile of various venues in and around Edmonton, and to position venues in front of their target audience and provide greater awareness! Whether the general public looking for a fantastic space to host their next event, a bride-to-be, event planners, or companies and organizations in need of venue space. This opportunity not only increases a venue’s visibility online with their target audience, but also provides them with professional photographs that can be used in their marketing material and promotional collateral. More information, and access to signup to the program, is available at Tycoon Events Presents #YEG & Area Venue Featurettes. We received an overwhelmingly positive response with the announcement and are excited to start showcasing some of our City’s illustrious event spaces! Last week we featured some of the podcasts that we liked to follow in order to stay up to date on what the latest and greatest in the industry is and be well versed in best practices. Professional development, as many of you know, is so important to the Tycoon team. Don’t forget to follow up on our various social media platforms as we’re always sending out new tips and tricks, event announcements, or sometimes, just a little Tycoon love! ← An Event Planner Does What, When, and Why?